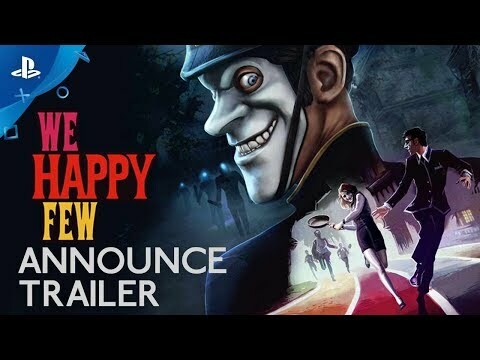 Set in a drug-fuelled, retrofuturistic city in an alternative 1960s England, We Happy Few is an action/adventure game in which you hide, fight, and conform your way out of a delusional Joy-obsessed world. The Deluxe Edition includes We Happy Few and the We Happy Few Season Pass. The Season Pass contains three pieces of future content for We Happy Few. Each add-on will be a new adventure that follows the antics of one of Wellington Wells’ most notorious residents. Buy the Season Pass and get all three add-ons at a discounted rate. © 2017 Compulsion Games Inc. We Happy Few and Compulsion Games are trademarks of Compulsion Games Inc., used under licence. Published and distributed by Gearbox Publishing. Gearbox and the Gearbox Software logo are registered trademarks, and the Gearbox Publishing logo is a trademark, all used courtesy of Gearbox Software, LLC.